Lehnen was founded by two Americans and two Austrians residing in Austria’s capital, Vienna. They play loud rock music using sonic textures and song structures predominantly found in ambient/ post-rock. Their fourth full-length studio album, „Reaching Over Ice and Waves“, explores the concept of how living in or traveling between different geographical locations affects the identity and development of an individual. The record conveys what it is like to be a foreigner hanging in the balance between two cultures, constantly home-sick regardless of where one goes, paradoxically, finding comfort and familiarity in travel, as travel itself becomes a sort of “home”. Flights, layovers, and airports are warmly welcomed- they are the connector between the traveler and the people and places at the end of the journey. The majority of these sentiments are transported instrumentally, with occasional vocals when lyrics are needed to express specific ideas. 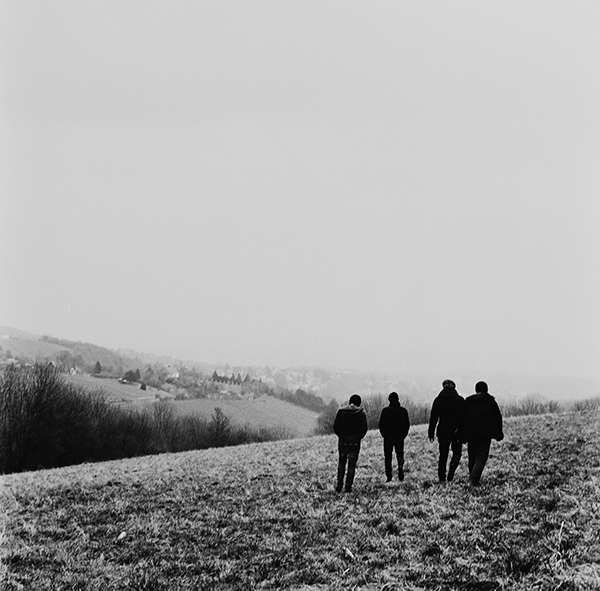 Following the release of their acclaimed third record, „I See Your Shadow“, various tours of the United States and Europe ensued featuring shows with bands such as Russian Circles, Glasvegas, InAeona, and a recent journey through Spain, Portugal, Belgium, and Germany supporting Caspian. Now, finally, with the band’s signing to Noise Appeal Records and the release of „Reaching Over Ice and Waves“, Lehnen set out to reach new heights in both artistic and performing ambition. "The record conveys what it is like to be a foreigner hanging in the balance between two cultures, constantly home-sick regardless of where one goes, paradoxically, finding comfort and familiarity in travel, as travel itself becomes a sort of “home”. Flights, layovers, and airports are warmly welcomed- they are the connector between the traveler and the people and places at the end of the journey. The majority of these sentiments are transported instrumentally, with occasional vocals when lyrics are needed to express specific ideas." „It was time for a change; a change unlike the ones we'd experienced before. We decided to write the SONG, not the album, do whatever it takes to make it the best song possible even if it meant passing on the temptation to rely on things like electronic beats, and let that wall of sound breath from time to time, sometimes even leaving vocals out. Alone, but not necessarily lonely. Undisturbed, yet not always peaceful. If a person wants an honest glimpse of himself in the mirror, then this is perhaps the best moment to look. The majority of songs on this record were written between midnight and the early hours of morning. Each one explores subject matter from a perspective of seclusion. Often dark and dismal, the sound is meant to convey the feeling of isolation while the city sleeps- the feeling of being the only one awake. Recording "I See Your Shadow"
Feb 27 Grand Rapids, MI, US Founders Brewing Co.
May 14 Dornbirn, Austria Spielboden "Soundsnoise Festival"